Africa is traditionally called The Dark Continent – neither due the complexion of the original inhabitants nor the absence of lights – primarily because most people know very little about it. It is last of the continents to feel the full influence of Western civilization. Africa is actually a landscape flushing with sunshine, vivid light, and burgeoning development that is catching up to its vast potential. Arthur Gillis, former CEO Protea Hospitality and current Non-Executive Chairman for Africa Development, Marriott International, recently described Africa as the “new haven for the hospitality industry” in an Op-Ed for BDLive. Gillis enthusiastically summed up the business case for this new haven. In particular, “a McKinsey Global Institute report on the Progress and Potential of African Economies sets an eight-year prediction of Africa’s collective GDP at $2.6-trillion. If you consider that, along with predictions of African consumer spending rising to about $1.4-trillion by 2020 and 128-million households with discretionary income, it demonstrates a reduced reliance on mineral and energy exports and a greater emerging middle class in countries with healthier, well-rounded economies.” Gillis cautioned that international travellers and tourists do not yet constitute a firm foundation, but rather Africa’s growing middle class will travel more and more – producing a healthy domestic and also regional market. Research by Cornell University professors shows that ten “core competencies” underlie successful hospitality professionals – a profile repeatedly validated in case studies across the world including Africa. 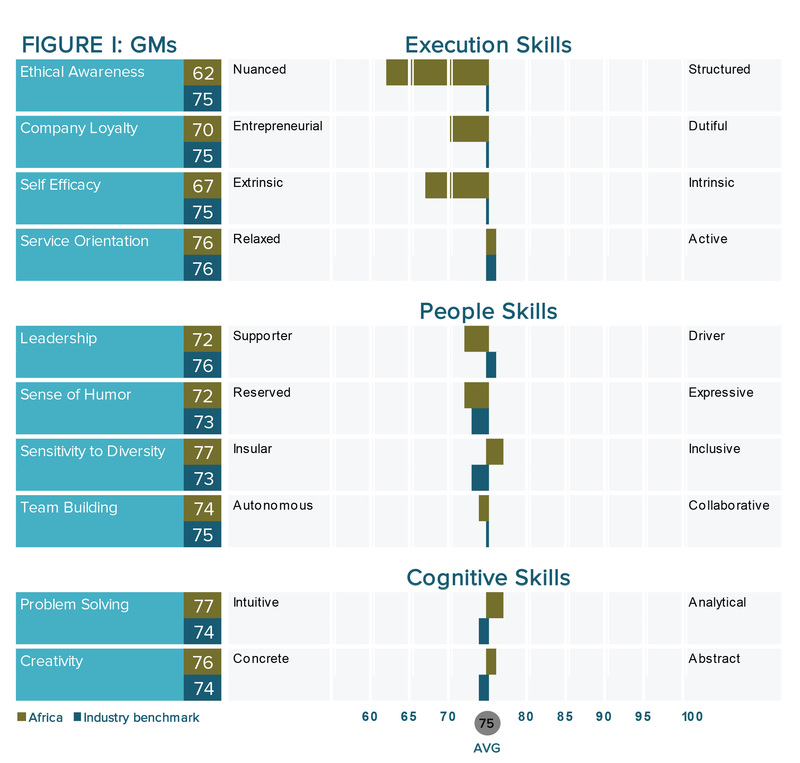 Ultimately, these competencies reflect an individual’s People Skills, Execution Skills, and Cognitive Skills. One standardized and psychometrically-valid method to measure these characteristics is the 20|20 Skills™ assessment. 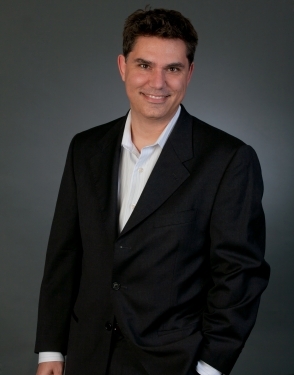 AETHOS Consulting Group has administered this assessment to GM candidates and incumbents across the world for over 15 years, as well as collected similar data from many license-users of the tool. This cumulative dataset reveals some notable differences between GMs in Africa compared to global industry benchmarks on core hospitality competencies. This gap analysis in Figure 1 (above) highlights the strengths and potential development areas of GMs in this market. To be sure, as the African hospitality market matures and grows, so too must these critical middle managers. Some trends are dramatic – African GMs score lower on (i) Leadership, (ii) Self-Effectiveness, (iii) Ethical Awareness/Rule Consciousness, and (iv) Loyalty to Company. In HR and organizational psychology speak, this translates to lower levels of service-minded leadership, energy, and self-directedness, as well as possibly reduced engagement with teams or brands. It is a mystery to what extent these trends follow from a lack of active skill and career development offered to emerging leaders, or whether this profile more reflects a response to current workplace cultures or the psychographic make-up of guests. Maybe we are dealing with a mixture of issues and causes. 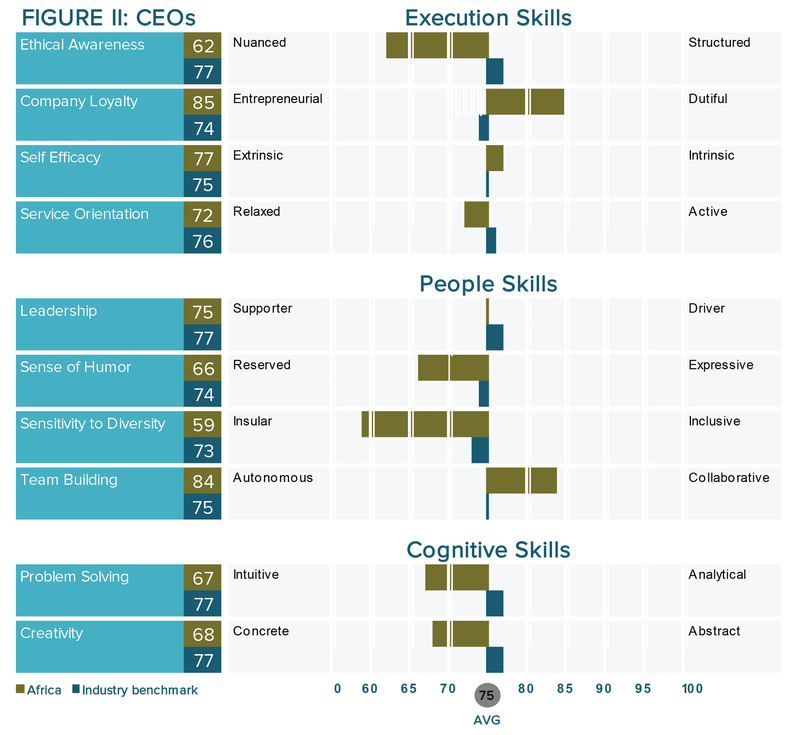 Regardless, there is also good news about the GM profile… compared to industry benchmarks, the African GMs exhibit greater awareness of diversity issues in the workplace and exhibit stronger “general mental ability.” Higher scores are evident for both Creativity (strategic, big picture thinking) and Problem-Solving (critical reasoning, decision-making). Out of the ten core competencies, these two factors are arguably most important, since studies pinpoint general mental ability as the best single predictor of overall performance. It is a great indicator of one’s ability to learn and accept training, adapt to new circumstances and market demands, and cope with stress and ambiguity. development and career advancement remains a global HR issue for new and emerging leaders. The above gap analysis begs the question of “who is ready, willing and able to develop middle management?” An obvious resource are regional or even corporate executives, assuming there is enough meaningful interaction between the employment levels. But CEO/COOs in the African market currently have their own set of strengths and challenges ahead of them. Figure 2 (above) reveals several notable skills compared to global industry benchmarks. Overall, African corporate leaders tend to be grounded in a healthy ego and show a clear concern for group identity, cohesion, and collaboration – a series of issues related to Team Building. An attention to employee engagement is further underscored by their pronounced Loyalty to Company. On the other hand, there are some areas where competency lags relative to industry norms. The trend for stronger “general mental ability” (Creativity and Problem Solving) seen with GMs in the African market is not consistently paralleled when it comes to those in “corner offices”. This profile suggests such executives can be emotional over analytical, prefer to deal with components and pieces versus tackling the big picture holistically, and appreciating tangibles more than visionary ideas. If this characterization is valid, then structure and standardization might be expected to rule the day. Yet, Brendan Gillespie, CEO of Lonrho Hotels, sees these profile trends as reflecting sobering realities in the market. In particular, lower scores on Ethical Awareness (rule consciousness) may indicate that CEOs/COOs in the African market are struggling with organization and consistency amidst poor infrastructure, shifting availability of goods and services, and tacit governmental challenges. Moreover, the softer skills one might expect in a group that emphasizes employee engagement are clearly minimized in the African market CEOs/COOs. Lower Sensitivity to Diversity, Humor Orientation, and Service Orientation all pinpoint this group as likely more transactional than peers in the global benchmark, who in turn, exhibit a good foundation for service-minded leadership. In conclusion, there may be no surprises here for those in the know. Marcel Kobilski, Divisional Director Human Resources at City Lodge Hotels Limited in South Africa, noted that he also finds that emerging leaders work at operational levels and do not have the potential to work at higher levels unless much time effort and money are spent on development. To Kobilski, the greatest challenge is identifying a style of leadership that both resonates with Africans and that is not totally alien to Western Corporate culture, as well as can be shown to be effective in driving results. And, once done, ensuring that leaders are chosen and groomed to take a more long term and strategic view of their businesses, including the development of a leadership pipeline that then enables consistent and sustainable delivery at the top levels in African organizations. In other words, current leaders need to proactively ask themselves, “Who will replace me, and how can I ensure that they will be more effective than I was? Today’s GMs in African markets hold a decidedly clear competitive advantage in terms of the brain trust they can bring to their roles – an extremely valuable commodity since middle managers are the ones in the fray planning, adapting, and forging ahead through the ambiguity and complexities that define burgeoning markets. But savviness itself goes only so far. CEOs/COOs appear to think short-term and act transactional, even though they care and probably strive to promote workplace engagement. A clear pathway for developmental growth emerges from the profiles. The most effective and efficient GMs will be those who are empowered, rewarded for service-minded leadership, informed and trained on the latest SOPs and best practices in hospitality, and who gain a sense of ownership in the organization and therefore develop a meaningful and lasting attachment to the brand and ownership. CEOs/COOs need to hone soft skills, exhibit service-minded leadership, seize opportunities to bring organization and professionalization to workplace cultures, and think more long-term and strategically. This all sounds simple in theory, but expect much difficulty in practice. Building hospitality leaders is a collaborative effort among emerging leaders, seasoned leaders, HR professionals, and hotel ownership. There are also non-trivial time and cost factors at play here. But, top talent is needed to successfully meet the new opportunities in Africa so eloquently articulated by Arthur Gillis. My sense is that experts like Gillis, Gillespie, and Kobilski would agree that developing talent actively and now to match these opportunities is not some “feel-good,” resource-wasting exercise. Writing in the popular tome War for Talent, McKinsey & Company indeed reported a sobering analysis and conclusion, i.e., “talent driven companies of the Fortune 500 experienced nearly 82% greater profit than their competitor.” That analysis is more than a case study or object lesson. In a burgeoning market and continent, perhaps it should be taken as marching orders.